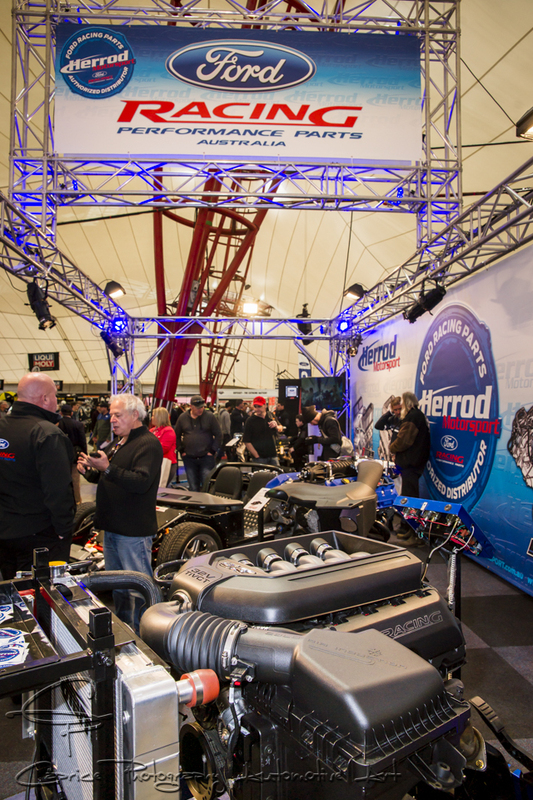 This year, the show came to Melbourne, the Meguiars MotorEx auto show to be precise! For many years it spent its time at Homebush in Sydney but this year, event organiser, MotorActive Managing Director Bruce Morrison decided to give Melbourne a go and he wasn’t disappointed! Over 28,000 auto mad enthusiasts and curious onlookers came through the gates to check out what all the fuss was about. Click “FOLLOW” on the right side of the home page to receive regular updates and posts on future car events and features! 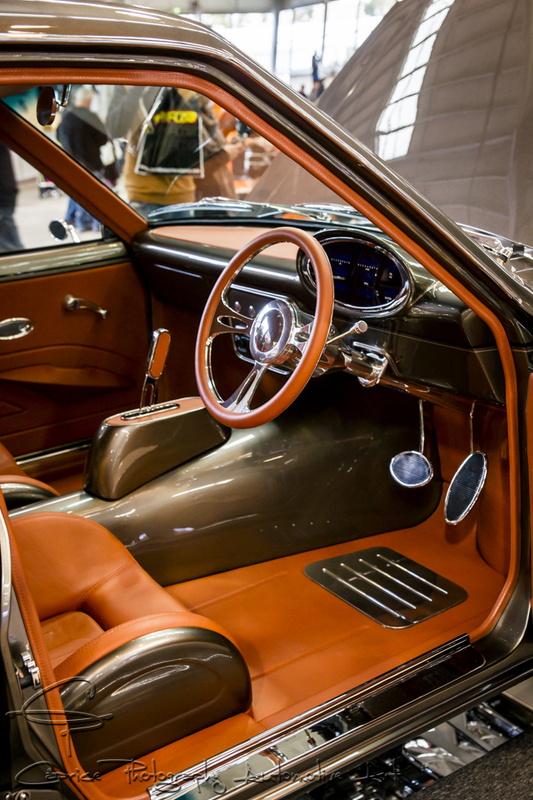 They were confronted with a plethora of highly detailed custom rides of all makes and models showcased in their own vibrant displays surrounded by a multitude of trade and hi-tech stands. 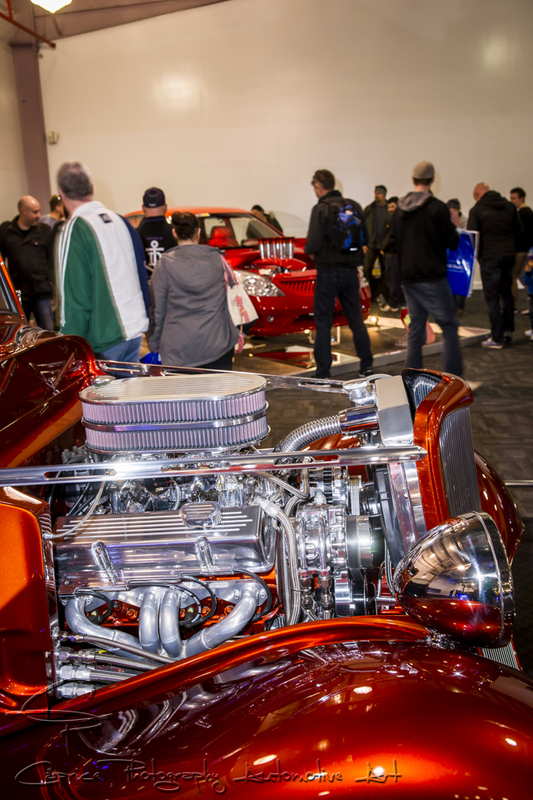 The show encompasses all automotive genres from cool custom rods and bikes through to race built and bred muscle cars and sports cars. If you couldn’t find something here to get your blood pumping, you better check for a pulse! Most of us would have been content with the huge array of static displays to keep us entertained but MotorEx had other ideas and kept the visual entertainment going over the two full days with its own tv show direct from the event itself, interviewing many owners of the various show vehicles, unveiling 11 new custom cars and bikes and introducing Sydney based hip-hop trio, Bliss N Eso’s new custom Kombi set up for mobile DJ work. A demonstration by the guys from the bus’s convertible top was enough to convince show goers the Veedub was the real deal! The trade pavilion could have stood alone as a show on its own due to its size and entertainment value! From 3M Designer Wrap demonstrations through to high horsepower dyno demos while surrounded by many racing heavyweights from all motorsport genres saw the doting public peruse the many alleys of professional auto businesses and motor products just absorbing the stimulating sights and sounds of could be considered automotive bliss! If the marquees of motorisation weren’t enough, a large display of real street rides encompassing all makes and models in various guises showcased what it is that makes Melbourne Australia’s motoring capital. While having the opportunity to display your ride at such a prestigious event, many are vying for top honours via professional judging. Most notable winners were Best of Breed Street Machine Champion, Nathan Borg with his Datsun 1200 Ute named HRDWRK, Best of Breed Hot Rod Champion, Chris Langford in his 1932 Ford Coupe aptly named A DEUCE and 2015 Superstars Qualifiers, John Saad’s 1972 Mazda RX3 called FATRX3, Peter and Debbie Miller’s 1932 Ford Roadster titled C-DEUCE, Robert Zahabi’s 1970 Chevy Nova named KAM Nova and Lou Ackovski’s 1972 Holden HQ called TOXIC-Q. This is just the tip of the iceberg when it comes to those receiving accolades for their efforts and attention to detail in this highly competitive craft. Having seen this event for the first time myself, I look forward with baited breath for its return in two years’ time but if I can’t hold on that long, a trip to Sydney with the boys next year might be the go!